Thanks to numerous tips from the public, Hawaiʻi Island police have located 40-year-old Crystal Marie Torres, who was wanted on several outstanding warrants. 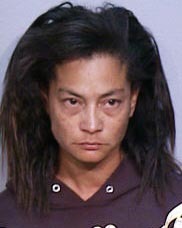 Torres, who is also known as Crystal Torres Bolosan, was arrested on the warrants on February 6 in Kawaihae. Police thank the public for their help.